The first time we get a table saw safety instruction is usually from the manual which came with table saw. But now I think there are a lot of web pages on the internet discussing this important information. Operating table saw needs the operators to be aware of the risk of injuries, so it’s recommended to put a safety instruction on a prominent place, with clear and easy-to-read words, so every worker in our workshop can see and read it before they’re getting busy with their table saw. In-depth Training All table saw operators should be previously trained well by a more experienced operator or employee regarding the importance of job safety. Table saw owner’s manual has to be read carefully and deeply understood. 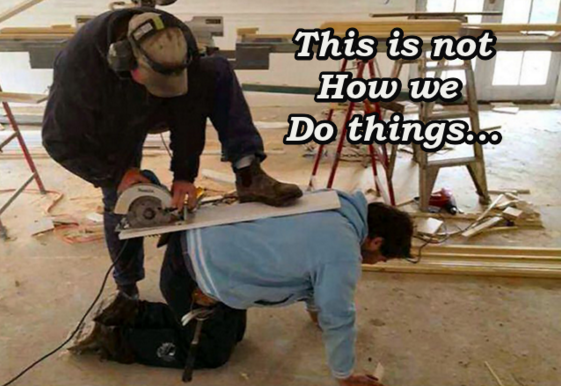 Doing so will help you reduce the number of accidents or injuries in your workshop. Gloves when changing or inspecting the saw blade. 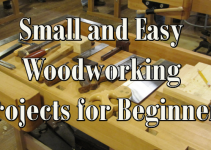 There’s a good article at Woodworking.ABOUT.COM sharing more tips to use your table saw safely. We also found a job safety analysis (can’t remember where from, years ago) that’s good to share with you here. 1. Obtain authorization from your supervisor, instructor or lab manager. Serious physical injury To ensure properly trained individuals have been authorize to operate the table saw. Supervisor should ensure personnel receive hands on instruction, review of departmental safety requirements and review of this job safety analysis. A training documentation sheet is provided at the end of JSA. 2. Read Instructional/Owners” Manual before operating table saw. Serious physical injury To ensure you fully understand general operation and safety requirements. 3. Remove all jewelry. Wrap long hear in net. Ensure clothing is sturdy and snug. Wear closed toed shoes. Caught in saw To prevent loose objects from being caught in the saw or injury from falling objects. 4. Obtain, inspect and wear safety glasses with side shields. The safety glasses must have a ANSI Standard Z87.1 stamped into the side of glasses. Additional personal protective equipment (PPE) such as face mask may be required due to job task. Leather gloves should be worn to inspect blades or other sharp objects. Struck by object in eye. To prevent loose objects from striking your eye or other body part. If any PPE defects are identified report it to your supervisor and obtain compliant PPE. If additional PPE is needed consult with your supervisor. 5. Inspect the table saw in accordance with manufacture owners’ manual. In general unplug the saw and inspect blade and guard. Note: the guard must be intact and properly positioned. Loose or poorly adjusted blades and guards create cutting hazards. If defects are noted tag the saw “OUT OF SERVICE” and report it to your supervisor immediate. Your supervisor is responsible for changing blades and ensuring the machine initially is in good working condition. 6. Inspect work area by walking around and removing debris. Also check to ensure there is proper lighting and you are not in a dangerous environment. Injury due to slips, trips, and falls To prevent injury due to poor housekeeping. If trip, slip and fall hazards are present remove the items to ensure a safe work environment. 7. Reconnect the power cord to electrical outlet. Electric shock Report any defect in the cord to supervisor and if using an extension cord, please ensure that it doesn’t create a tripping hazard. Do not modify the electric cord or plug. 8. Physically examine the object to be cut and ensure the table saw is manufactured and adjusted to perform the cut. Physical Injury To prevent physical injury and ensure the equipment is manufactured for that type of material. Report any concerns to your supervisor before using the saw. 9. Given the variety of objects and various cuts (i.e. cross cut, rip cut, miter, bevel, etc.) to be made, each operator must develop a plan of action that ensures all safety requirements (guards, rip fence, blade-to-fence distance, blade height angle etc.) have been administered before operating the saw. Physical Injury Ensure all safety requirements have been administered before operating the saw. 10. Operate the saw by activating the power switch. Cut Ensure the saw is free of any work piece. 11. Ensure your body is positioned away from possible “kickbacks” or other flying debris. Physical Injury To prevent possible injury. 12. Use “work helpers” such as push sticks and push blocks to feed work piece into saw blade. If work helpers” are infeasible hold the work piece firmly while feeding into saw blade. Note: Never withdraw the work piece while blade is running. Cut To ensure your hands will not come close to an active blade. Always switch the saw “OFF” and wait until the blade stops before withdrawing the work piece. 13. Turn the saw “OFF” once cutting operations have been finished. Physical Injury To prevent blade from unintended activation. 14. Perform housekeeping duties by removing any debris. Physical Injury To ensure proper housekeeping and ensure safe work environment. 15. Clean and return all PPE and other equipment to proper storage location. To ensure safe work environment and proper storage of equipment. You’re welcomed to print this article or alter as you wish to suit your workplace environment.